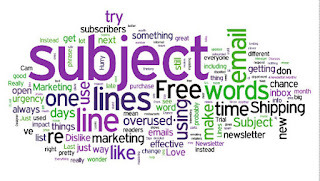 The 5 Most Overused Phrases in Subject Lines – Hurry, Before They’re Gone! A good email subject line can make your email marketing efforts pay off big time; a bad one can make your subscribers tune you out. It’s no wonder that the subject line is one of the most important parts of your email, and something worth mastering. We’ve given you lists of fantastic subject lines in the past, but this time we thought we’d share some of the most overused words in subject lines. We don’t leave you scrambling for substitutes though. We’ve included some backups to use, just in case you need a little inspiration. This is first on the list for a reason; Free or Free Shipping is probably the most overused word or phrase in subject lines these days. Thinking the word “Free” in the subject line will land your email in the spam box? That old myth has been dispelled by the sheer number of emails that make it to inboxes everyday with “Free Shipping” in the subject line. A quick glance at my inbox right now shows just how often this is being used. Use this instead: Mix up your free shipping offer by using variations such as: “Shipping on Us!,” “Complimentary Shipping,” “Don’t Pay for Shipping!,” “We send it for free” or simply use the term, “Free Shipping” in your pre-header instead, like you see outlined with green in the image above. Last chance – Another popular phrase in subject lines, and one that needs to be updated, because unless it’s a product or service that’s being discontinued, we’re all pretty sure it’s probably not the last chance. Use this instead: How about using “Drop Everything!,” “Don’t Miss Out,” or getting specific and using phrases such as, “Ends at 12pm PST,” “…until 10 am Wednesday,” or “Before Spring Ends.” These still include a sense urgency, and you may stand a better chance of grabbing people’s attention. Much like “last chance,” the word “hurry!” has been used in so many emails, it sounds like to boy who cried wolf one too many times… it doesn’t always mean the end is near. Use this instead: Here are two recent emails I received, and though the subject lines are imploring me to hurry, they don’t actually use the word. These clever subject lines caught my attention in my crowded inbox and I definitely clicked through to their websites. While it’s tempting to use newsletter in your subject line, it takes up valuable subject line space, and it isn’t terribly descriptive of what’s actually inside your email. Using the same subject line month after month can also lose its impact over time. Use this instead: The next time you send out your newsletter, instead of saying “June Newsletter,” use headlines from articles or topics that are in the newsletter. It helps your readers quickly see the interesting or useful info that’s inside. This is the method we use for our own VR Buzz newsletter. Many overused email subject line words tend to center around immediate action, and there’s nothing wrong with that, in fact we encourage it! But try change things up a bit, while still getting your readers to do an intended action. Use this instead: Next time, try using “It’s Not too Late!” or “24 Hour Flash Sale” for the same kind of impact, but in a new way. If you’ve been using some of these words in your own subject lines, it might be time to change things up. The great thing about email marketing is that there’s plenty of room for testing new things. – Really long, wordy subject lines. So what does this all mean? Some of the overused words are really effective for some people but not for others; everyone’s different! And everyone in your list is different too, so if you’ve been using any of these words in your email subject lines often, try a new way of saying the same ‘ol thing in your next email. You may be surprised! Or astounded, amazed or flabbergasted. 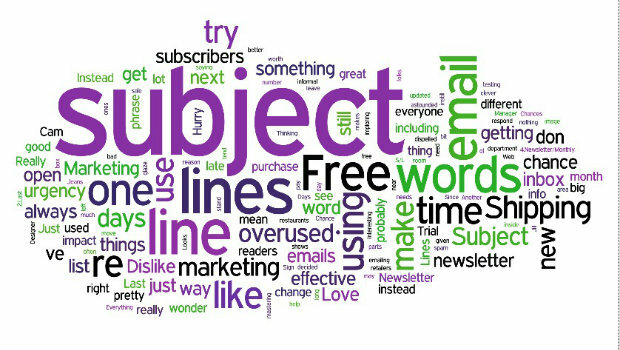 #DIGITAL: The 5 Most Overused Phrases in Subject Lines – Hurry, Before They’re Gone!